New style of widget properties editor. Now, you can change widget parameters and view results immediately without closing widget properties. Possibility to select shortcuts label mode (hide, title, details, title + detailes). Different widget types have different set of available modes. Support of "no skin" to get widgets and overlays without background. 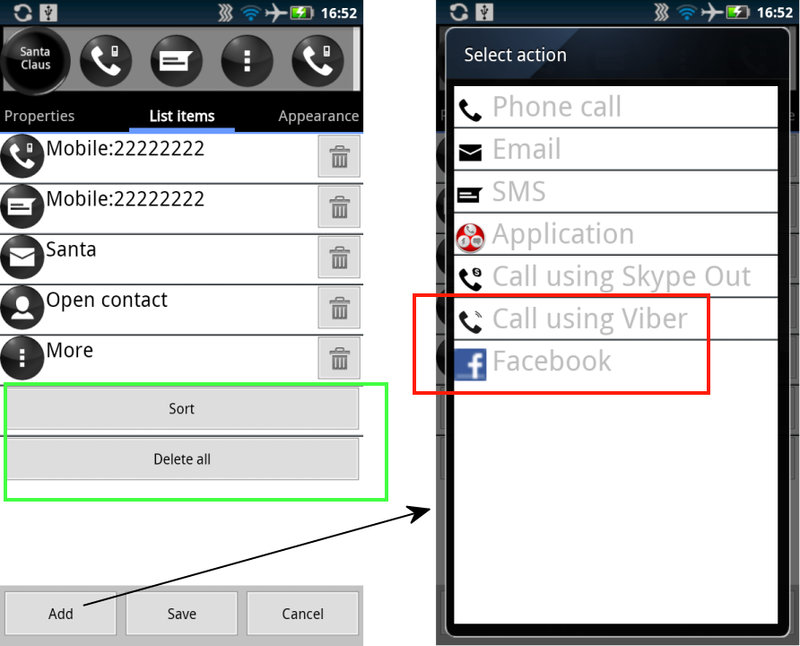 New action in single contact: "Call using Viber" and Facebook. 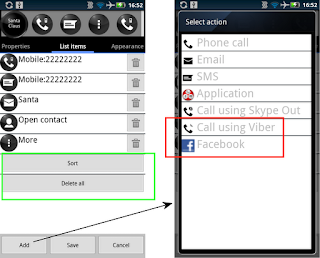 These actions are not added automatically, you should add them manually if necessary. 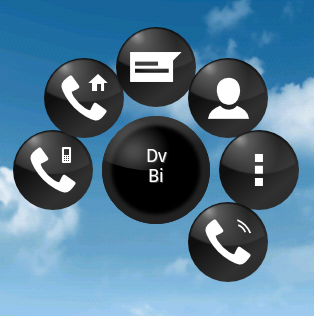 New skin "Round Black Gloss". Romanian, Serbian and Lithuanian localizations were added. 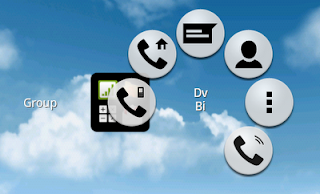 Subcontacts in group contact appears in the order of selection. In the previous versions the order of appearing was undetermined.